The advanced portable Power Pack can self-charge with the built-in solar panel. Charges/powers any USB device. Portable compact power system. 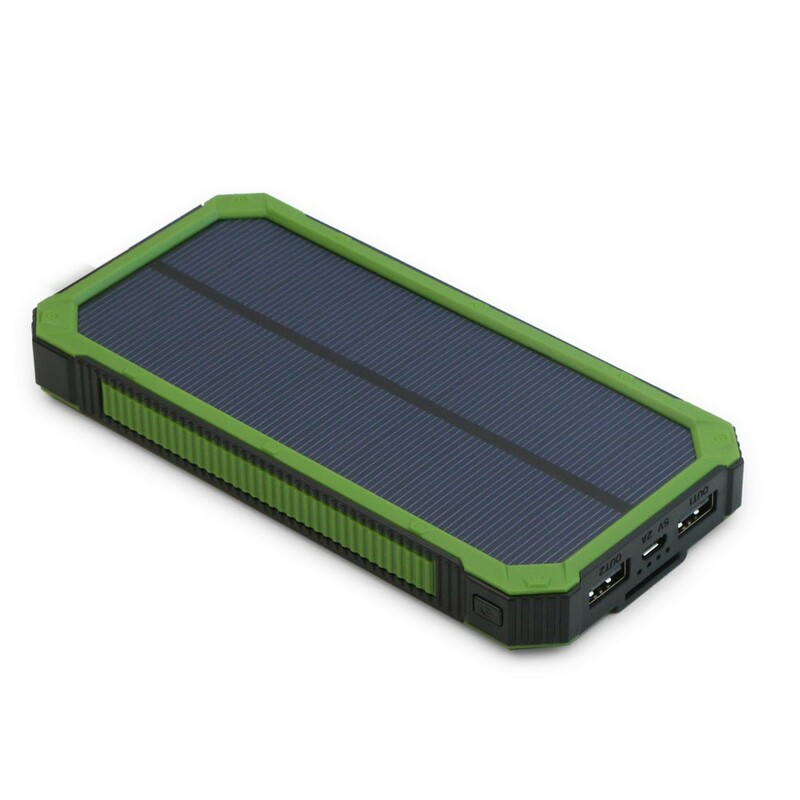 Great for backup power, camping, emergencies, and remote telemetry applications. Built-in carry loop and carabiner clip included. 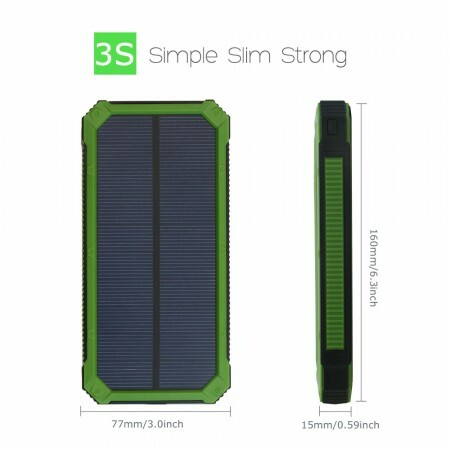 Advanced Lithium Polymer battery is lightweight, powerful, and retains it's charge longer. 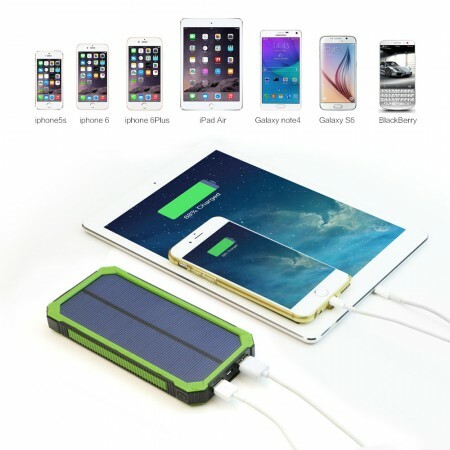 The built-in solar panel charges the Power Pack anywhere there is sunshine! This versatile power system can power/charge any USB device including cell phones, tablets, GPS devices, MP3/MP4 players, iPods, etc. The Power Pack can also be recharged from any USB power supply (USB power cube, laptop, etc.) with the included USB cable. 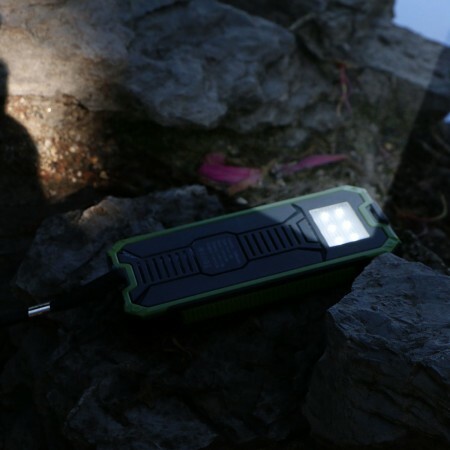 The Power Pack even has an LED light, making it the ideal backpacking companion. Short-circuit and over current protection. The Power Pack will automatic shutdown when there is a short circuit or output overload to protect the Power Pack from damage. The Power Pack includes an on/off power button and LED battery capacity indicator. * Dual 5V USB power outlet - charge 2 phones at the same time (only 1 tablet at a time)! * NOT WATERPROOF! Do NOT submerse in water. * Emergency LED flashlight can light the way in the dark. Ideal for emergencies. * 4 LED status of charge indicators indicate the charging and discharging process. Suitable for charging/powering all kinds of tablets, ipads, cell phones, smartphones, PSP, GPS units, digital camera, bluetooth speaker and many other electronic devices. * Fully charge the power bank for the first time use. 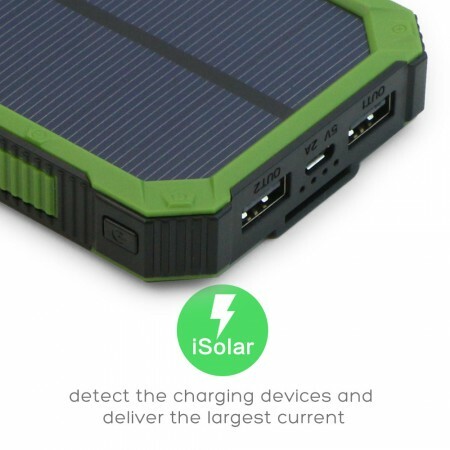 * Solar charger (5V200mAh,12000mAh capacity) is not a primary charging resource, only for emergency charging, such as power bank and your phone are both drained, the solar charger will maintain your phone power on while under direct sunlight. It is recommended that you charge the Power Pack with a wall charger, or your computer's USB port. 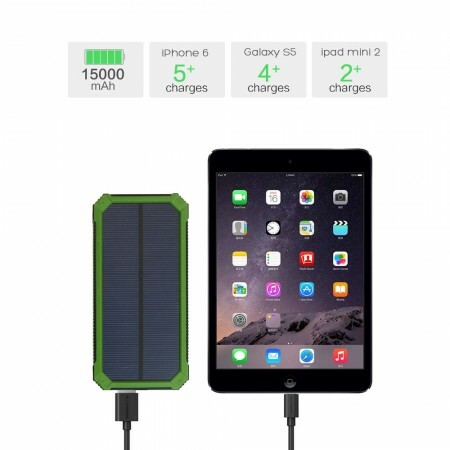 The Power Pack only takes few hours to fully charge. 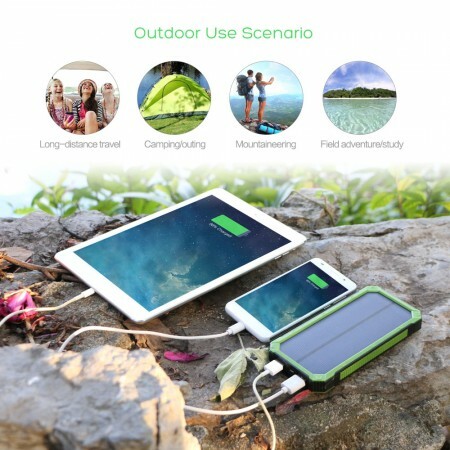 * The Power Pack can charge two cell phones at the same time. * The Power Pack has four LED indicator lights. Simply press the button to know the current power capacity .